Does your air conditioning system need an HVAC doctor? Technicians you will be glad to invite back in your home. We have technicians that are courteous and polite ready to help you with all your HVAC needs. We have Expert A/C service available 24/7, 365 days a year. We service any brand of air conditioner. Trane, American Standard, Carrier, Bryant, Lennox, Goodman, Ruud, Rheem, Comfortmaker. Service trucks fully stock with most common parts needed to get your home cooling or heating again. Get a coupon for $30 off any AC repair*. *Not valid with any other offer, 1 coupon per household, no cash value. Limited to first-time customers only. Spend less on utility costs and avoid future AC repairs with our Family Plan Maintenance Program. System(s) check twice a year. Peace of mind knowing system(s) running at peak performance. Discounted pricing on all repairs. Discounted pricing on equipment replacement when needed. Priority service over non family plan members. Carl’s Quality provides many homeowner’s with excellent service everyday. If you need your air conditioning or heating serviced, repaired or replaced Carl’s Quality Cooling and Heating, LLC is the place to contact. Office buildings, apartment complexes, C-stores, restaurants and grocery stores. Carl’s Quality services them all and more. Please contact us for your commercial HVAC and refrigeration needs. Carl’s Quality partners with home builders to provide quality HVAC systems in new homes. If you are looking for an HVAC contractor to partner with give us a call and we will be glad to work with you. Carl’s Quality Cooling and Heating, LLC will do system installations on new and existing construction. We will provide an on-site assessment and quote for the installation and ensure your new system is sized properly to operate as efficiently as possible and provide a long service life. If your heating, air conditioning or refrigeration system is not working or performing at the level it should, Carl’s Quality Cooling and Heating, LLC is just a phone call away. We will service any brand system to repair issues or replace components as needed. We will also gladly offer preventative maintenance services. Do you have a business with walk-in coolers & freezers, deli cases, or ice machines? 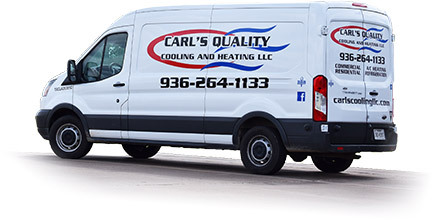 Carl’s Quality Cooling and Heating, LLC will provide quality service for you as well. 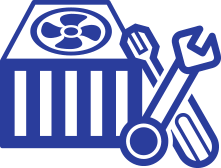 Gives us a call to address any refrigeration needs your small business may have.